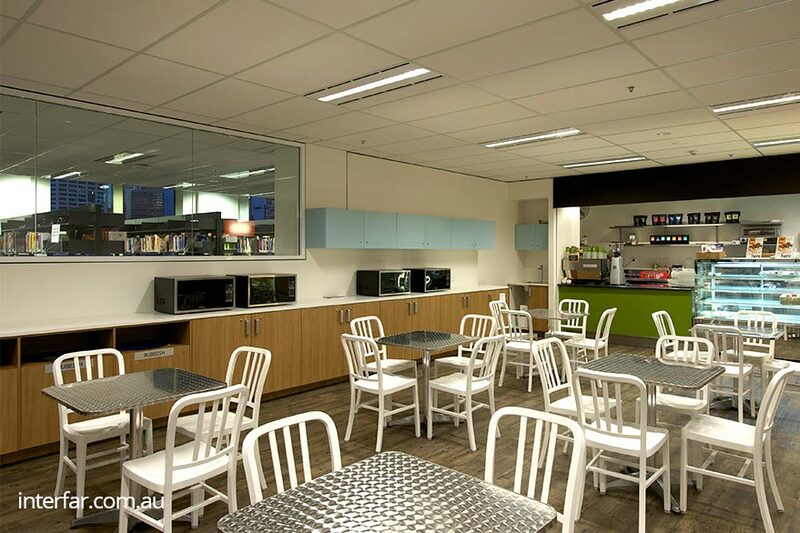 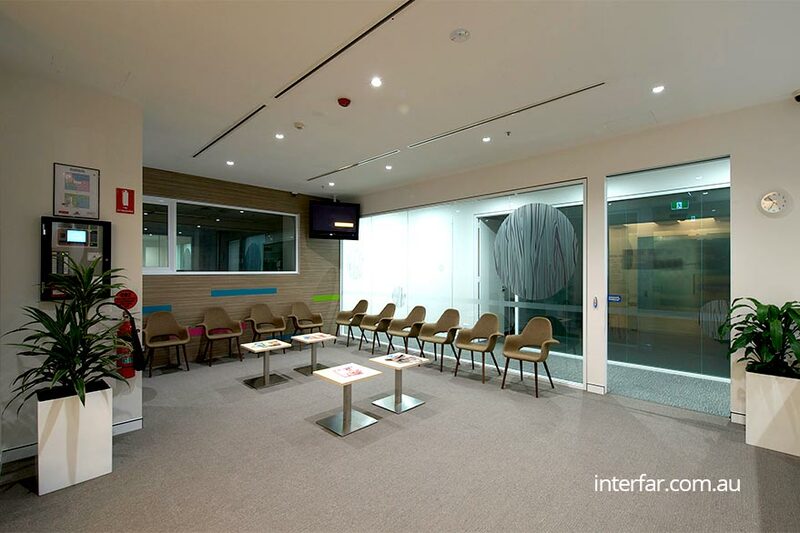 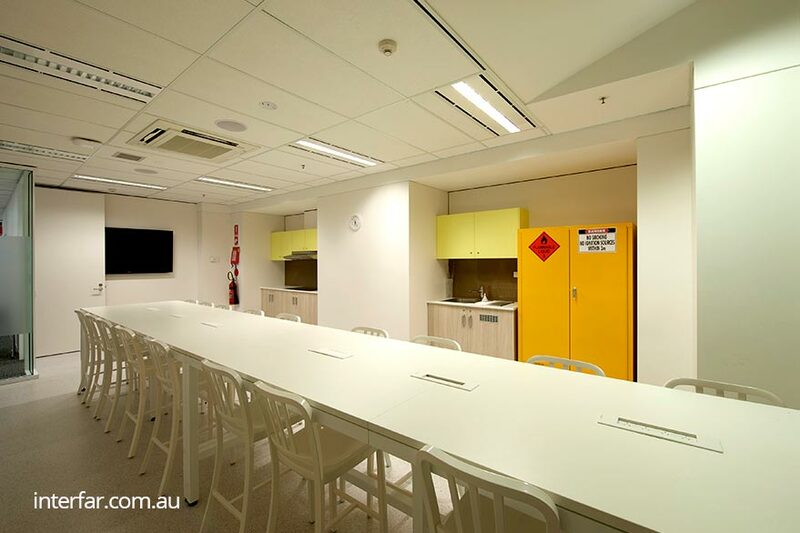 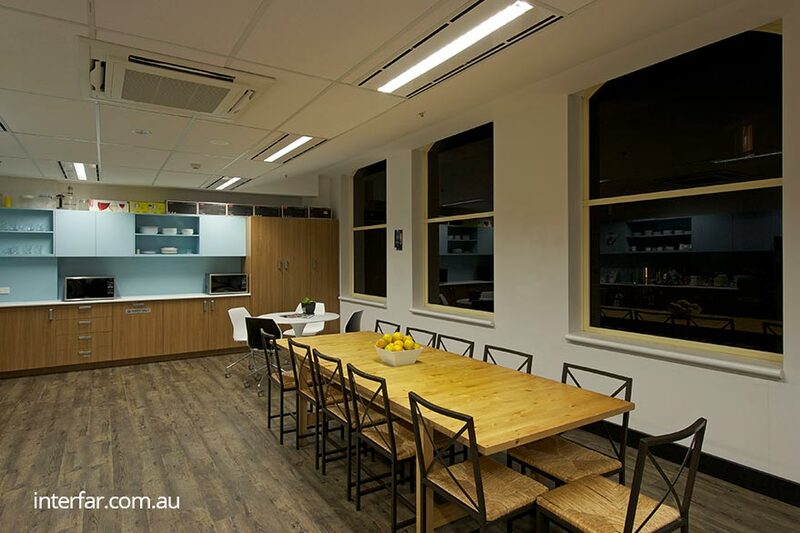 One our larger projects, Interfar was again awarded the joinery project by the JDV Group to supply and install 2 levels of joinery for the college campus. 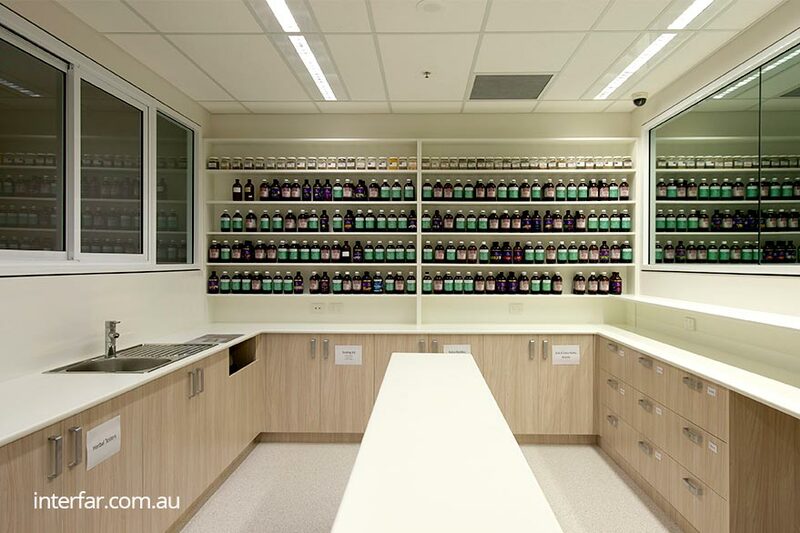 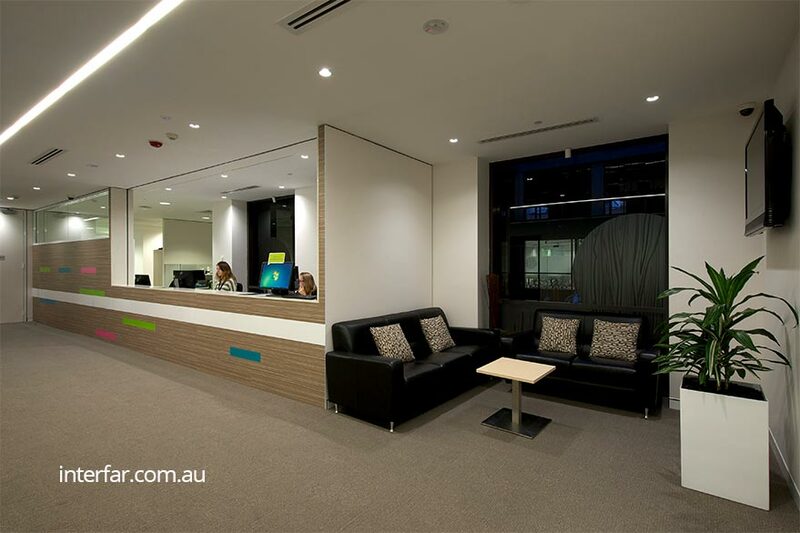 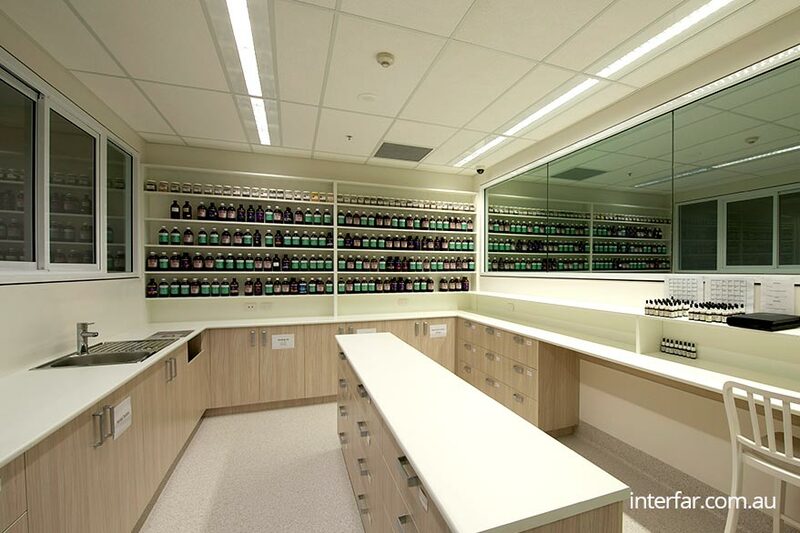 The joinery involved for this project includes reception counters with façade feature walls, various staff and student break out kitchens, pharmaceutical dispensary cabinetry, and many other various joinery items. 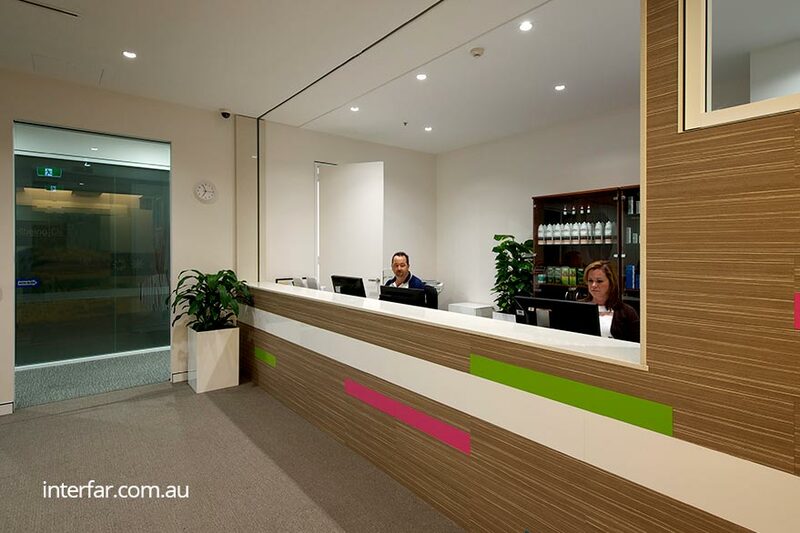 The joinery is predominantly finished using a combination of coloured laminate and polyurethane finishes.